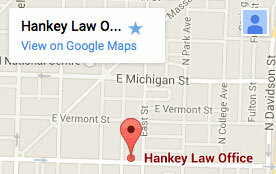 Hankey Law Office > FAQs > What should I do after my long-term disability claim is denied? What should I do after my long-term disability claim is denied? If your long-term disability claim is denied, you should send a letter in writing to the insurance company declaring that you are going to appeal their denial. After this is done, your attorney will request your entire file from the insurance company in order to find anything that may help with your case. Your attorney will then use that information when you sue the company. If you would like to speak with an attorney about your specific situation, then the Indiana LTD lawyers of the Hankey Law Office can help. Contact us today at (800) 520-3633 to learn more.